Choosing the best smart door lock for you and your home can be a confusing task particularly due to the amount of low quality and dangerously inadequate smart door lock knock offs in the market. That is why we have prepared the best smart door lock review 2016, to ensure that you have the latest information on home security and knowledge of the best products on the market. Your lock to your front door is the single most important device with regards to your home security. The most common point of entry to a home for a burglar is via the front door with approximately 34% of burglars reported using this point of access. It makes sense to fortify this entry point with the best solutions on the market. With the advent and increased popularity of smart integrated products, homes are becoming safer and safer than ever before. Although purchasing a smart door lock may seem like a significant purchase as they can be 3x more expensive than your traditional door lock, taking into account that on average $2,119 is stolen on average for any one burglary in the United States, it is definitely a justified expense not just in monetary terms, but in peace of mind as well. The best smart door locks come with all the features of your traditional lock, and integrate seamlessly with most deadbolts as well. So there is no real difference in the actual mechanism of the lock. What really drives the jump in the security is the ability to remain connected with your front door. You will know when it opens and closes, who has opened it and closed and whether any strange out of the ordinary occurrences have happened. All the best smart door locks have the ability to integrate with the latest doorbell camera. You will be able to let your friends, family and trusted people into your home whilst you are away. Allow you cleaner inside your apartment whilst you are in the office. Let your parents come in to be comfortable while they wait for you to return instead of waiting on the porch. Considering nearly 50% of burglars gained access to their target home without requiring force, and of those, 40% entered via an unlocked door. With a smart door lock you can automate it to lock after a period of being unlocked, or if you want to be even more advanced, you can link it to a home automation hub which will identify when you are outside of range of the house, and do a complete security lock down (turn on sensors, alarms and lock the smart door lock). 1. Includes the Essential Features: Your smart door lock should include the following core features in order to be satisfy the basic requirements. Compatible with Deadbolts: It is important to check that your smart door lock is compatible with your current deadbolt. Essentially the smart door lock has an internal mechanism which needs to be connected with your deadbolt in order to be effective. Smart Phone Application: All the best smart door locks in this review have the ability to be opened and closed via the smartphone however not all of them have their own application. If you want to access the smart door lock via your smartphone and it doesn’t have a dedicated application, you will have to purchase a smart home hub as well in order to obtain all the benefits. 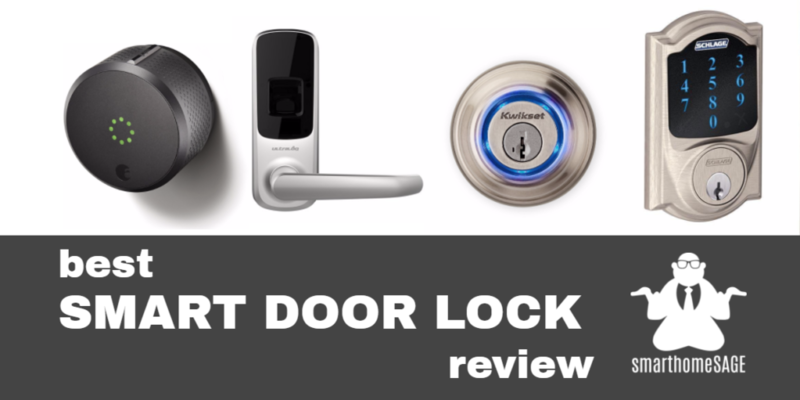 We will highlight which method they use in our full best smart door locks review below as well as in our individual smart door lock reviews. Keypads: A keypad can be a useful feature for a smart door lock, allowing different access codes to different people. This can make it easier to track who is entering your house and at what times. Additionally, if you no longer wish to allow access to your home you can simply deactivate the account and code, as oppose to calling in a locksmith and changing the whole lock. Alarm: I had a huge internal debate about whether to have this as an optional feature or an essential feature. I eventually decided to put it in the optional section as many homeowners can often run their own alarm system which have a bunch of additional features which aren’t available in conjunction with the smart lock. The Department of Criminal Justice and Criminology at the University of North Carolina at Charlotte reported that 83 percent of the burglars said they would try to find out if the home had a security alarm before trying to force entry. Around 50% of the potential burglars stated that they would end the attempt of burglary if they hear or saw an alarm on the premises. Only 13 percent mentioned they would advance with the burglary in if they found an alarm. Make sure you read the full product smart door lock reviews which provide more detailed information on positives and negatives of each device. 2. Security Testing is a MUST! When purchasing a product as important as your front door lock, the first line of defense protection to access your whole house, it is vital to consider that when utilizing a smart door lock there is the potential that people could hack your lock via your internet connection. Choosing a product from a reputable brand (such as the smart door locks on this list) is imperative due to the intensive 3rd party testing the undergo. 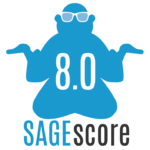 Also when flaws are identified, these respected brands are fast in updating software to ensure your protection is never out of date. Hi Roy! Our recommendation for best price and feature for the smart door lock is the August Smart Lock. 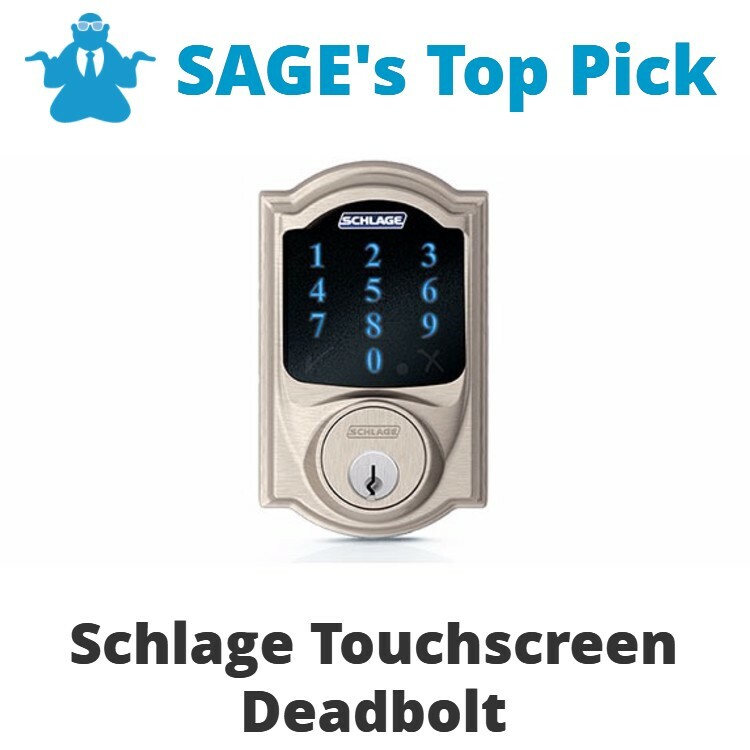 It’s usability outstrips the marginal better performance of the Schlage.